Apple has updated its official TestFlight app for iOS today, bringing support for iOS 9 and watchOS 2 betas, plus a new App Thinning feature that will allow developers to deliver slimmer apps in iOS 9. 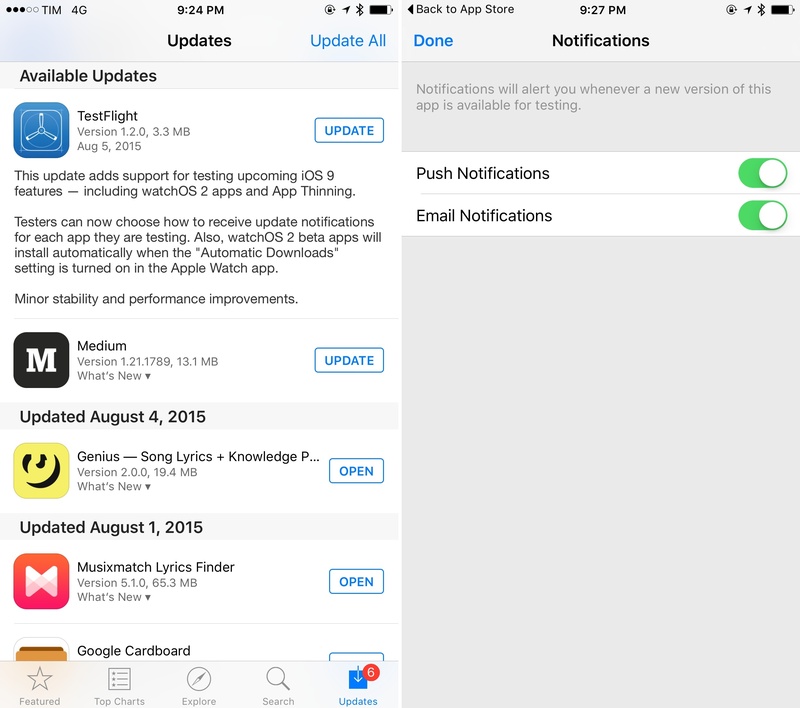 Version 1.2 of TestFlight supports, according to Apple, "upcoming iOS 9 features". The first beta of iOS 9 was first released in June, and, following the launch of the fourth developer beta, several members of the developer community were wondering when Apple would start allowing developers to distribute iOS 9 app betas to external testers. In addition to iOS 9 and watchOS 2 support, the TestFlight app has been updated with new notification settings. You can now turn off email and notification updates on a per-app basis – a welcome addition for those testing dozens of different apps. TestFlight 1.2 is available on the App Store.